It was good to finally get back into the game – it had been several months since I built anything. I also think I’m going to add some information markers to my map of Imperial City inside my main castle. That will take some time, as the list of places I want to mark on it just seems to keep getting longer. I’m also going to make an attempt at beginning the new Map Room. 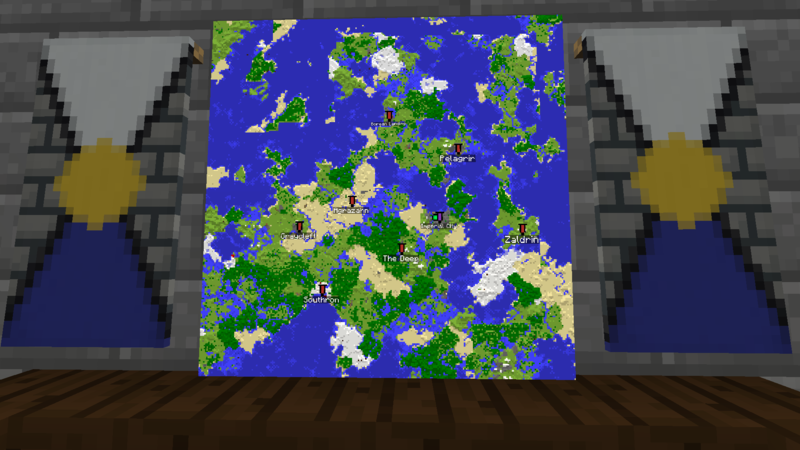 If I remember correctly, when Perry and I built the room, we used my set of maps as a base to measure out how big we’d need. I should be able to just grab my maps and start placing them. It will give us a place to start from, at least.